One of the brightest available with an impressive output of up to 230 lumens and with some of the most advanced flashlight technologies. The signature square beam is an indication of first-class lighting design. With a simple twist of the torch head you can increase the spot intensity by a factor of four. Now this is focus control! 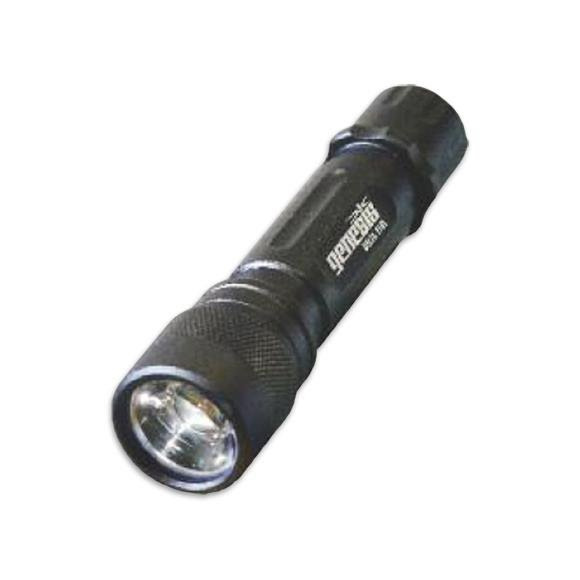 One of the brightest available with an impressive output of up to 230 lumens and with some of the most advanced flashlight technologies. The signature square beam is an indication of first-class lighting design. With a simple twist of the torch head you can increase the spot intensity by a factor of four. Now this is focus control! This innovative and adaptable design puts light right where you need it: far into the darkness or into the immediate space around you. All with a simple twist motion. We&apos;ve designed the DELTAS 230&apos;s housing to prevent any accidental &apos;slips of the hand&apos; in difficult conditions. The switch device in the tail allows for momentary or constant &apos;On&apos; illumination, to best suit the user&apos;s changing needs.